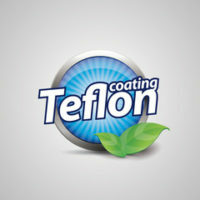 Everybody uses Teflon, it seems. The substance is found in everything from non-stick cookware to popcorn bags, medical devices, and cars. But Teflon’s maker, Chemours (originally part of Dupont Corporation), just last year settled a giant class-action lawsuit involving a chemical in Teflon called C8, which has been linked to cancer and other diseases. The company has begun using a new chemical called GenX, but that substance, too, is suspected of being cancer-causing. For decades, it turns out, Chemours has been discharging chemicals from its North Carolina plant, into both the air and into the Cape Fear River. That river represents the water supply for more than 250,000 people in and around the city of Wilmington…. Potentially harmful contaminants — some that are linked to cancer, brain and nervous system damage or developmental defects — have been detected in Indianapolis’ drinking water, according to the Environmental Working Group, IndyStar reported just two months ago. The testing raises concern because nine of the contaminants, including arsenic, chloroform and radiological chemicals, were still found in amounts exceeding what many scientists and health experts say are safe. If you have been diagnosed with a condition caused by exposure to a toxic substance, knowing your legal rights can be crucial in getting financial help for injuries, damages, or loss. Remember that environmental lawsuits may involve hundreds of people who, along with you, have been harmed by contaminants in the water supply, and you might well become part of a large group of people filing a class action lawsuit. In fact, as personal injury attorneys at Ramey & Hailey Law, we often begin by representing one person who brings the case to our attention. Later, other victims can be given the chance to join the class action. But, isn’t causing harm to so many people through environmental toxins against the law? It certainly is. Under CERCLA or Superfund, the Environmental Protection Agency (EPA) has the power to assess liability for cleanup of hazardous substances. That means that if you know of someone who has been diagnosed with a condition caused by exposure to a toxin in the water or air, it’s vital that they know their legal rights. As personal injury attorneys in Indiana, we want to remind our readers – it’s not only individual people and cars that cause personal injury – the fault might be toxins in the environment!